Bottom paint is bottom paint, right? You get under your boat, crawl on the ground, weave around your trailer bunks and undercarriage, have the odor infiltrate your mask, and roll on the poison (You are, after all, applying insecticide.) of choice as quickly as possible. Not quite…For the bottom paint to last any length of time, proper preparation and application is essential, whether you do-it-yourself or have a yard do it. 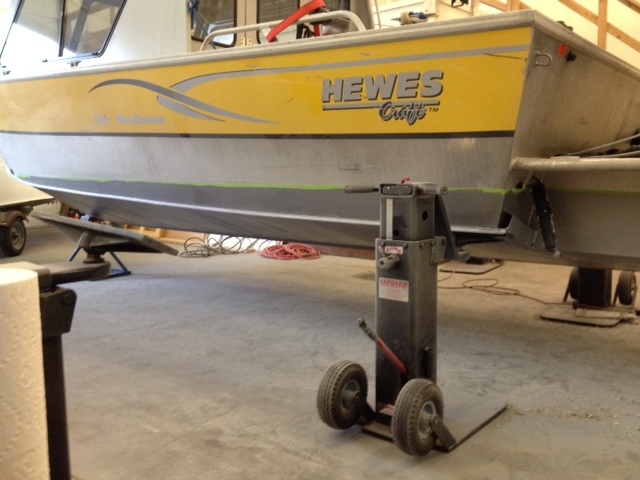 Below are some examples of the bottom painting projects at Ashbreez Boatworks. Our 2019 bottom paint pricing is at the bottom of this page. On rare occasions, we will do off-site work, as we did on this Ocean Alexander 42. This involved more than bottom paint. The bottom was badly blistered and involved a labor intensive repair effort before barrier coating and bottom painting. The bottom paint was flaking and failing on this Sea Sport Voyager 30. It was so widespread that the paint was removed to the gelcoat and new barrier coat and bottom paint applied. This Fairbanks 32 was a large boat to move into the shop. Berthed in Whittier during the season, the owner brought her by the shop for bottom painting before taking her home for winter storage. 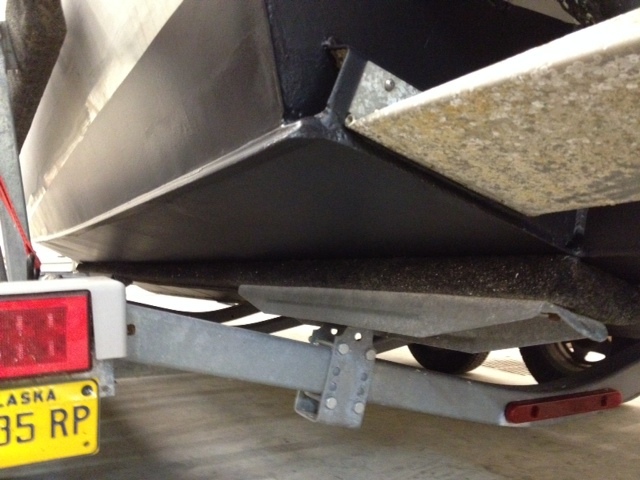 As you can see, we have the equuipment to safely remove boats from their trailers so that the bottom is clear for painting. This 2006 22' Hewescraft sat in saltwater all summer, its bottom never having had bottom paint. 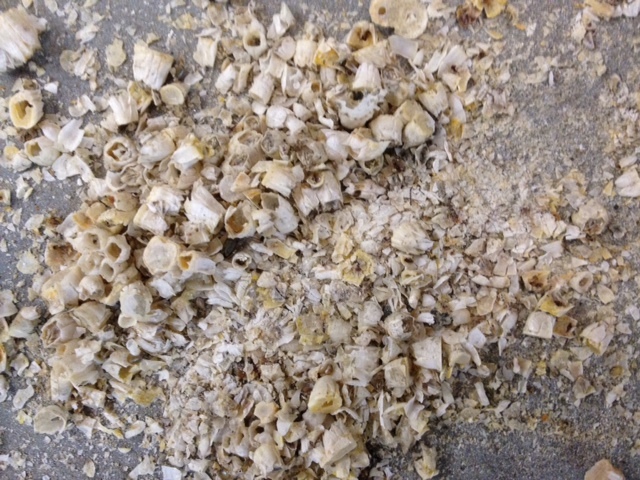 Chad didn't have a chance to get a picture of the barnacle encrusted bottom before Joel began removing the barnacles. He did get a picture of the barnacles that were left on the ground. The enitre bottom was in this shape. Don't leave your bottoms unprotected, even for a summer! This is the bottom of a 2006 Kingfisher immediately after Joel painted it. The owner brought it to us with scaling bottom paint after only one year. While he had taken it to some yard to have it done, it was not prepared properly. It was this time and, unless beached repeatedly, should last 3-4 years. Here are examples of completed bottom paint jobs. whether it is aluminum, fiberglass, or wood, we can accomomdate your needs and you can be assured it will be prepped and painted properly. TRAILER REMOVAL: $200-$300 depending on trailer type. *Prices are subject to change due to manufacturer price increases on paint and supplies. They are in flux due to tariffs. 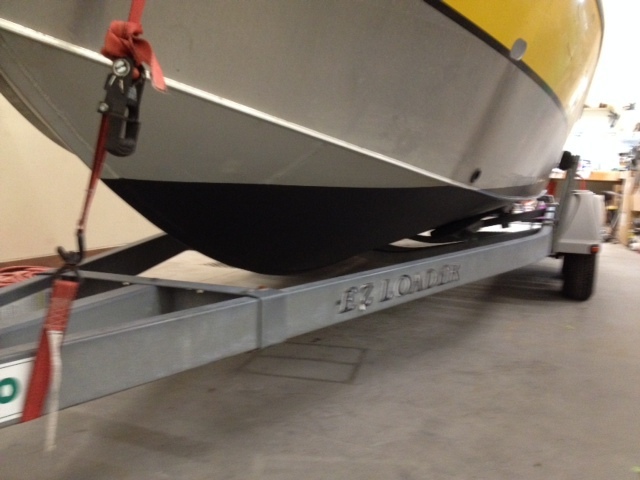 24’ boat: $1,862 plus bottom paint Full displacement hulls are quoted.